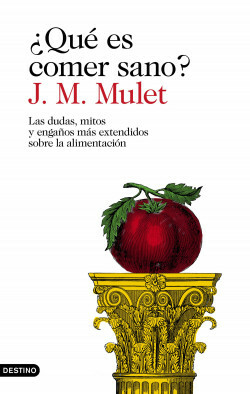 Original title: ¿Qué es comer sano? Many myths and much misinformation circulate in the world of food and nutrition and it is difficult to navigate in this sea of information. The fact that we do not know how to filter this information affects not only our purchasing habits but also our health. Myths are born and die, and some are even reborn after a while. J. M. Mulet, one of the leading scientists in the field, receives hundreds of questions on his blog, which are often repeated in the talks he gives and on the programs where he is interviewed. In view of this, he has finally decided to put an end to so many myths and respond to the 101 most common myths and the ones that generate the most doubts among people. This book is intended to be a quick reference guide so that when you receive the next internet chain mail or hear a comment in the queue at the supermarket, you can find out what’s true or false about how bad a certain food is or how good the other is. Let’s go get ’em.